We are a scalable, repeatable faith-based ministry that helps transform deserving people to become economically self-sustaining entrepreneurs, so they can launch successful businesses or become intrapreneurs who use entrepreneurial skills to achieve excellence in the workplace. Thereby Transforming themselves, their families, and the Prince George’s County community. Specifically, we were established to attack the two major villains affecting many of our people (e.g., ex-prisoners, the poor, at-risk youth, and socially/economically disadvantaged individuals) — hopelessness and lack of opportunities. Our calling is to defeat these powerful foes by creating Hope and Opportunity. As we defeat these foes person by person, we help our participants overcome instability in families and violence in the community. It is well known that people without hope will do anything! Teach ‘em to Fish Community Development Corporation is a faith-based ministry (501(c)(3)) that trains deserving people to become successful business owners or outstanding employees, thus Transforming themselves, their families, and their community. We believe successful business owners and outstanding employees can be made. We love, encourage, and set high expectations for participants. We operate based on Biblical principles and sound business practices. We focus on measurable outcomes. We adhere to high integrity and moral standards. We leverage existing resources from the community. We expect our graduates to pay their success forward by participating in TETF Joseph Institute Alumni Association. Pastor Clarence C. Crawford is the founder and president of the Teach ‘em to Fish Community Development Corporation that helps transform disadvantaged people into successful entrepreneurs and outstanding employees. Clarence is an adjunct professor at the American University’s Master of Public Administration (MPA) Programwhere he teaches Federal budgeting, ethical leadership, and enterprise risk management (ERM). He is a Principal Director (Maryland) and 1stVice Chair of the Washington Metropolitan Area Transit Authority (WMATA) Board. Finally, Clarence is a member of GAO’s Center for Audit Excellence Advisory Board and OPM’s Presidential Rank Review Panel. Beginning as a GS-1, he learned how to progress through the ranks and how to become a strong leader, enabling him to become a senior executive, ES-6 (i.e., four-star general equivalent) chief operating officer and chief financial officer. He used innovative approaches to lead successful transformations. Clarence specialized in starting up new functions, creating high performance organizations, and turning around less than stellar ones. His senior executive career included positions at the General Accounting Office, Office of Management and Budget, U.S. Patent and Trademark Office, and the Office of Personnel Management where he oversaw the $1.8 trillion Federal employee pension and benefits fund programs and he implemented an ERM program. 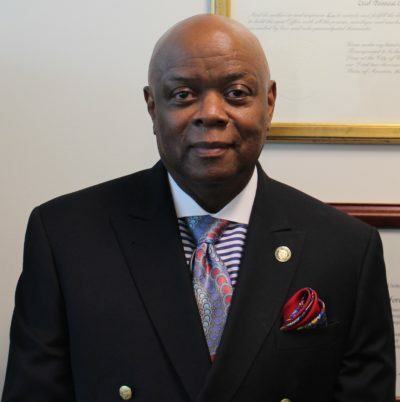 Clarence’s career also included assignments as a Metropolitan Police Officer, Presidential Management Intern, and numerous assignments at the Internal Revenue Service. 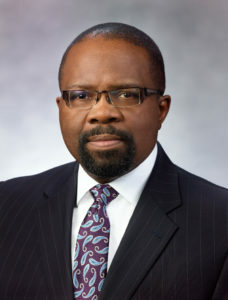 Upon retirement from the federal government with 39 years of service in 2006, Clarence was recruited as a managing director to create a Deloitte presence among Federal CFOs and establish the Deloitte Federal Financial Management Solutions Center. He created and hosted the Federal CFO Insights Radio Show on WTOP’s FEDNEWS Radio. Clarence hosted the quarterly CFO Roundtable series that provided Federal CFOs with an opportunity to informally discuss important topics. He helped create and/or tailored solutions to address many of the major challenges facing the Federal government. Clarence grew his account into one of the Federal practice’s best performing accounts. He retired from Deloitte Consulting, LLP in April 2014, after seven years of service. 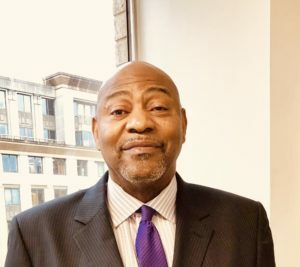 Clarence later served as a Senior Vice President for Corporate Solutions for the Addx Corporation where he helps his clients develop and execute transformative strategies needed in this fast-paced, ever-evolving Federal environment. Clarence is a Meritorious Presidential Rank Award recipient. He earned his MPA in Finance and Bachelor of Science in Administration of Justice from the American Universityand he has taken classes at the Capital Bible Seminary. 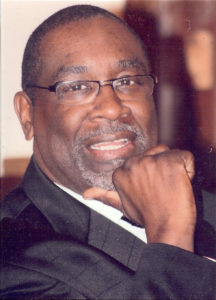 Dr Jesse P. Clay, Jr, D.Min. Born and raised in Philadelphia, Pennsylvania, Jesse is the eldest of six children. Relocating to Columbia Maryland with his parents, Dr. & Mrs. Jesse Paul Clay, he graduated from Wilde-Lake High School, attended Howard University, graduating with a BS degree. He also received a Masters in Christian Counseling, a Masters of Divinity, and Doctor of Ministry degrees from the Maple Spring Baptist Bible College and Seminary. Jesse, an administrator in the District of Columbia Government has recorded over twenty – nine years of government service. He married the beautiful former Brenda Wildes in Dec. 1983, and out of their union, has two wonderful adult children: Victoria and Jesse III. a daughter and son in love, Dinatria and Harick and three grandchildren, Nevaeh, Jesse IV, and Zera. In October 2004, Rev. Clay, with the assistance of his wife and other supporters including his parents, Dr. Deacon and Mrs. Jesse Paul Clay, his brother now Pastor Leonard Clay and Dr. and Mrs. Jerry W. Jones Jr. opened the doors of Jehovah Christian Ministries, a non-denominational Christian ministry. They currently worship in the Capital Heights, Maryland area. There they continue a ministry for God and He is richly blessing the ministry. The church has grown and touched many souls who continue to be connected. Most important, Jesse is a born again believer, and loves the Lord. His message is that Jesus died on the cross for our sins, he rose again so we can live victoriously and receive eternal life. With this message, he witnesses to male prisoners at Brockbridge Correctional Institution in Jessup, Maryland with the New Life Ministries, and homeless men at the Central Union Mission with the Partners in Ministry Program sponsored by the Church of Restoration. His counsel to individuals is that God is restoring, renewing, and re-establishing them for the Master’s use. Jesse also serves as Chairman of the Board for the Pilgrim Rest Baptist Therapeutic Services (PRBTS). He has been the Vice Chairman since 2008. Prior to being appointed a board member in 2007, he performed at various levels at the Better Way Program which is an out-patient substance abuse program sponsored by PRBTS. His services included being a counselor, a supervisory counselor, and the Program Director. He is also Vice Chairman with Teach’ Em to Fish, and incubator designed to assist disadvantaged people that desire to be entrepreneurs. An original member of the Men’s Rapp it reaches out to men through monthly rap sessions and annual conferences. May God receive the glory for the great changes in the lives of His people. Rev. Leittia Marveline Vaughn was born to the late Wiley and Marveline Jones on July 15, 1955 in Washington, DC. 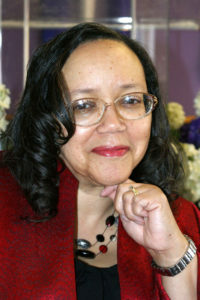 She attended Prince George’s County Public Schools and received her high school diploma from DuVal High School in 1972. After completing studies at Prince George’s Community College and University College at the University of Maryland, she received her Bachelor’s Degree in Accounting in 1996. Rev. Vaughn is married to the Reverend Larry D. Vaughn and is the Co-Pastor of The Church of Restoration in Hyattsville, Maryland. They have three sons and a daughter: Korey, Larry II, Leland and April. Rev. Vaughn was licensed to preach the Gospel on October 29, 2000 and was ordained to the Gospel Ministry in March 2004. She has sought to strengthen her biblical knowledge so as to help advance the Kingdom of God by taking classes and participating in various conferences and workshops. Rev. Vaughn is currently employed as the Town Treasurer for the Town of Forest Heights and also serves as the treasurer with Teach’em to Fish Community Development Corporation, a business incubator ministry. Rev. Vaughn has been called to preach a life-changing Gospel; that those who do not know Jesus would accept Him and that believers might grow in Christ and represent Him well. In addition, she has been called to minister to women and to strengthen married couples. Rev. Vaughn has asked God to give her a love for all people that she might be a blessing to the Kingdom and a blessing to others. Rev. Larry D. Vaughn was born in Washington, D.C. He is the son of the late Oscar A. Vaughn and the late Annie Ruth Vaughn. He attended the District of Columbia public school system. Rev. Vaughn served three years in the army. He has attended classes at the Washington Bible College, the Maple Springs Baptist College and Seminary, the Crown of Christ Bible Institute and Prince George’s Community College. Rev. Vaughn joined Maple Springs Baptist Church in May 1979. He is married to the former Leittia Marveline Jones and they have three sons and a daughter: Korey, Larry II, Leland and April. Rev. Vaughn was licensed to preach the gospel at the Maple Springs Baptist Church on December 16, 1984. He was later appointed the Minister of Youth Ministries. Rev. Vaughn was ordained to the Gospel Ministry on June 6, 1992. Rev. Vaughn joined Shining Star Missionary Baptist Church in August 1994, and he remained there as an Associate Minister until God directed him to start a ministry to be known as Restoration Baptist Church. On September 7, 1997, Restoration Baptist Church, which is now The Church of Restoration, held its first worship service. At this time, Rev. Vaughn was installed as Pastor by Rev. Dr. Chester A. McDonald, Sr., Pastor of the Maple Springs Baptist Church. With a heart for people and Isaiah 61: 1-3 as his favorite scripture, the Lord directed Rev. Vaughn’s focus to outreach and to the restoration of man. Having served many, Rev. Vaughn currently ministers at the Central Union Mission in Washington, D.C., Jessup Correctional Facility in Maryland and the Widow’s Pantry, in Washington, D.C., along with other outreach activities. In addition, he is the founder of Men’s Rapp, a Men’s fellowship, and a board member of Teach ’em to Fish Community Development Corporation, a business incubator ministry dedicated to transforming lives and launching businesses. Dr. Ben Nwaochei has a wide and varied background both in education and experience. His experience has been garnered over the years from the responsible positions he has held in industry, academia, and multilateral organizations. They include Project Engineer, Lever Brothers Nigeria Ltd, Lagos; Lecturer, Queens College of the University of New York; Project Engineer, Hardesty and Hanover, New York, USA; Lecturer and one-time Acting Head, Department of Petroleum Engineering, University of Benin, Benin City; Director and later Director General, Nigerian Institute of Management, Lagos; Chief Technical Adviser/National Program Director, United Nations Center on Transnational Corporations (UNCTC). 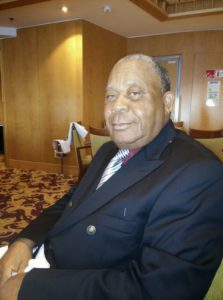 He was responsible for promoting entrepreneurship and small businesses in Nigeria for over five years. He served as Executive Director, Prison Fellowship International where he lead the team that established the Institute for Leadership Formation and Ministry Development in Singapore. He is currently the President of Premium Associates, a training and business consulting outfit in Maryland; The Executive Pastor, Adelphi Bible Baptist Church, Adelphi, Maryland; President/Founder, Jethro Ministries Inc., and the Executive Director, Teach ‘em To Fish. He holds a B.Sc. (Hon), Mechanical Engineering from the University of Lagos; a Post Graduate Diploma, Petroleum Tech (Milan, Italy); M.Sc. Applied Geophysics from Columbia University (New York) and Ph.D, Applied Geophysics from Rutgers, The State University of New Jersey, New Brunswick, NJ, USA. In addition, he has an M.A in Ministry Leadership from the Capital Bible Seminary, Lanham, Maryland. After 38 years of service in the federal government as an IT and cyber security manager, Mark has embarked on a second act that is comprised primarily of entrepreneurship, non-profit organizational support and community service. He holds a Bachelors of Science degree in Information Systems Management. His entrepreneurial pursuits include supporting two small IT companies as operations manager, serving as a certified instructor for Nehemiah Project International Ministries teaching biblical entrepreneurship and founding a start-up that he considers his “accidental business”. Borne of a love for healthy eating and his three grandsons, Mark founded 3 Brown Boys Granola, producing a healthy granola product. Mark’s non-profit activities include serving on the executive board of Teach ‘Em To Fish LLC, serving as first elder of the New Life SDA Church in Gaithersburg, MD, and serving as president of the Columbia Union ASI. A highlight of this second act was in 2015 when he participated in a mission trip to Kenya that yielded a harvest of over 600 souls. He is also the founder of The New History Makers Program, which serves young men in the Montgomery County, MD prison system by preparing them for re-entry into society.